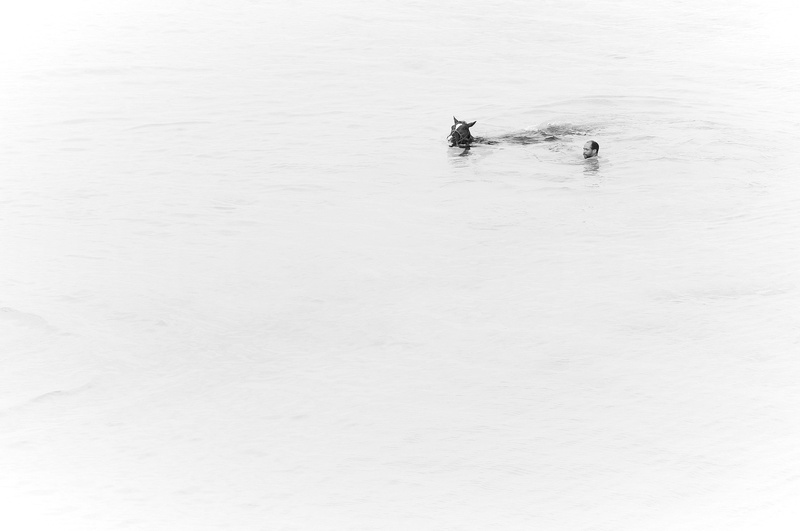 Second photo of racing horses out swimming with their jockey. I was in my hotel room when they went into the sea. It was too early, and my camera was not ready. Managed a few shots with my 200mm.